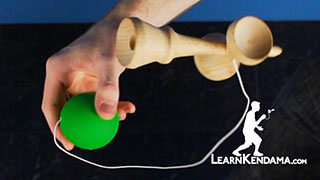 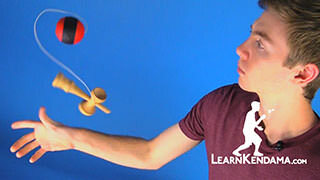 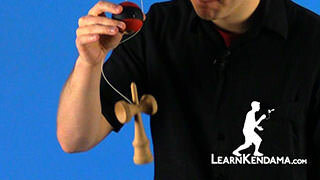 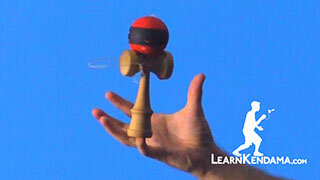 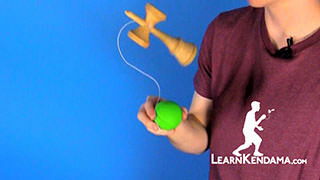 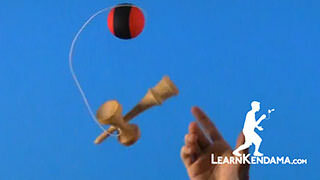 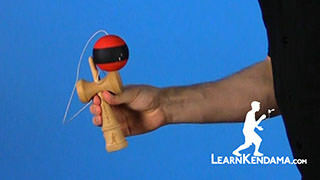 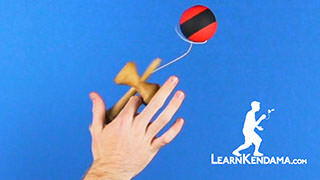 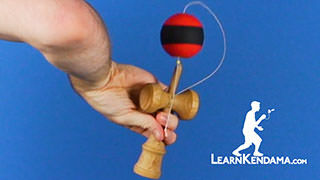 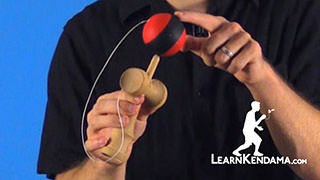 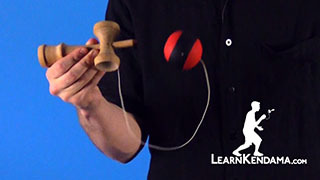 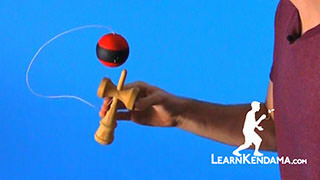 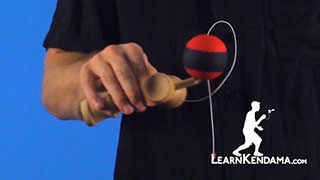 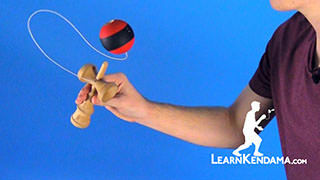 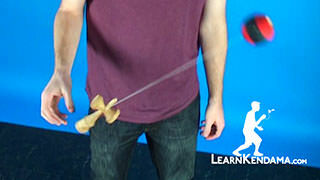 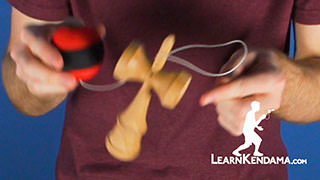 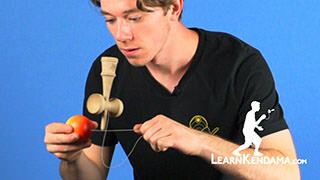 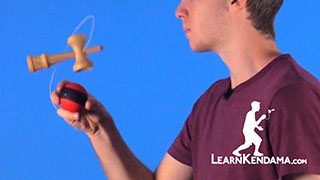 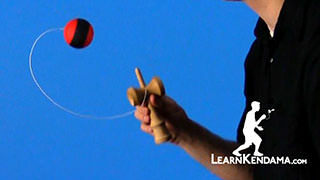 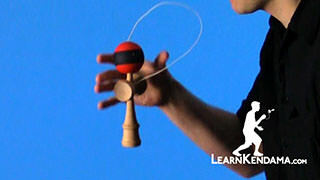 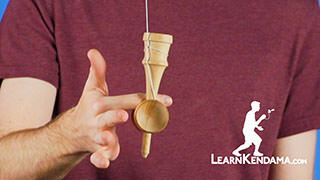 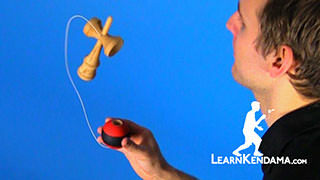 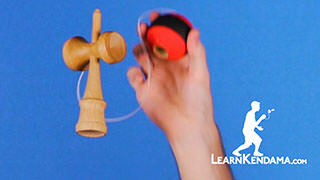 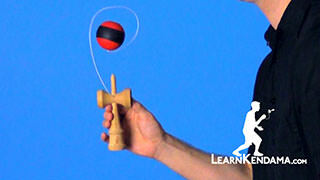 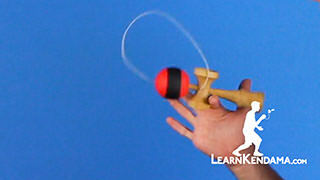 Learn how to do the Kendama trick known as Juggle to Spike. 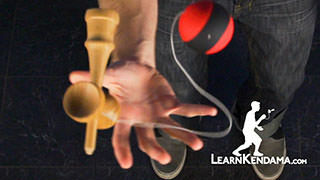 Now, in order to do this trick, you want to make sure that you know the trick Juggle. 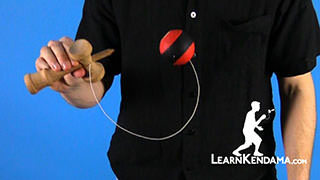 So, to start off, you are going to be set up just like you would in Juggle. 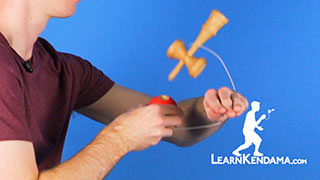 This is a very difficult trick that takes a lot of practice. 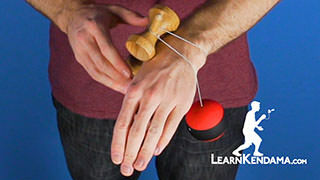 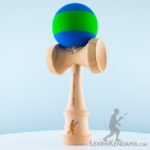 Now, the secret to this trick is really making sure that when you hit the tama on the second part of the juggle, that you kind of cradle the tama in your hand. 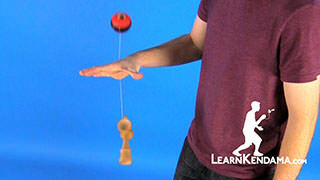 You want to toss it up very, very gently. 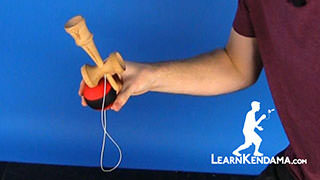 You do not want to hit it so that the ball spins so much. 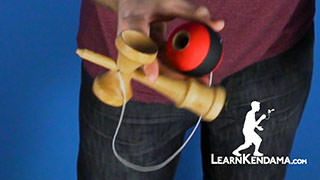 Then it is really hard to track the hole. 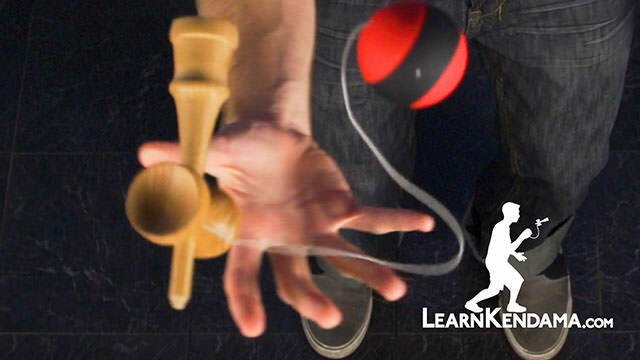 So you really also want to use your knees a lot in this trick. 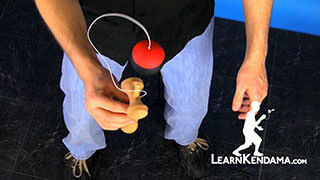 It helps if when you start your juggle, you bend your knees and you keep your knees bent as you pull the tama up. 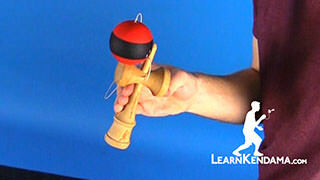 This will allow you to pull the ball up a lot straighter. 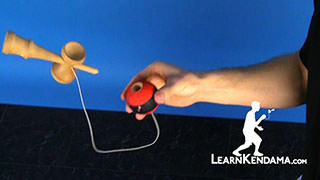 Then from there, what you are going to do is hit the ball up very gently. 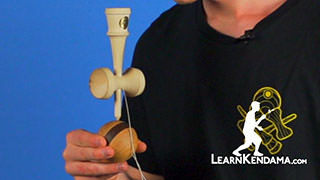 That way, the tama only rotates one time, like an Earthturn, or even more ideally so it does not move at all. 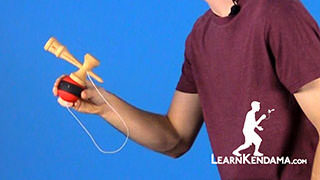 That way it is really easy for the spike to land in the hole. 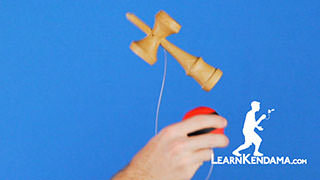 After a lot of practice, you can pull it up, hit the tama, and land on the spike. 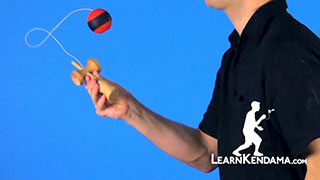 And that is Juggle to Spike.